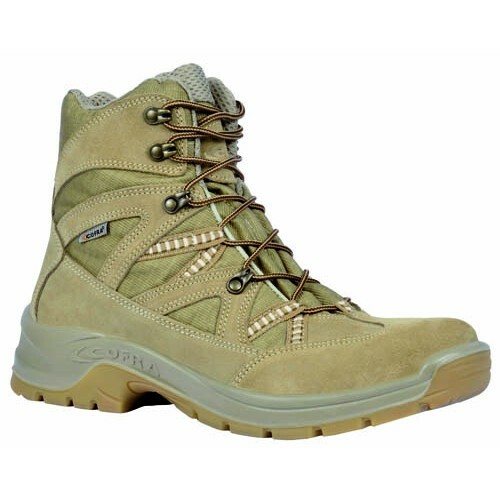 Beige repellent pull-up nubuck and breathable textile ankle boot, COFRA-TEX Waterproof membrane lining, antistatic, anti-shock, slipping resistant. Upper: Water repellent pull-up leather and breathable textile. 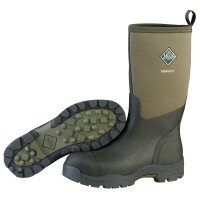 COFRA-TEX waterproof membrane with “Proof Lining” system, stitched directly to the footbed, like a lining. The sealing between the PU of the sole and the stitchings of the footbed guarantees waterproofness, thus preventing water leaking. Footbed AIR made of EVA and fabric, antistatic, anatomic, holed, antistatic. It guarantees high stability thanks to its different thicknesses in the plantar area. Perfumed sole. 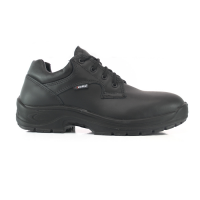 Support made of fibreglass conveniently placed between heel and sole, which provides support and protection of the plantar arch, thus preventing harmful bending. Anatomic footbed made of soft and comfortable polyurethane; the pattern of the bottom layer guarantees shock absorbing action and good grip; the upper layer absorbs perspiration and leaves the foot always dry. Cold and heat insulation. 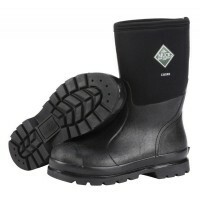 It is extremely difficult to explain just how good Cofra's products are in comparison to other safety footwear.